British Mountaineer Paul Swail is a IFMGA Mountain Guide - the highest recognised mountaineering qualification in the world. With this, Paul is able to offer off-piste skiing, touring, heli-skiing, ice climbing, and all sorts of wonderful ways to enjoy the Alpine environment. 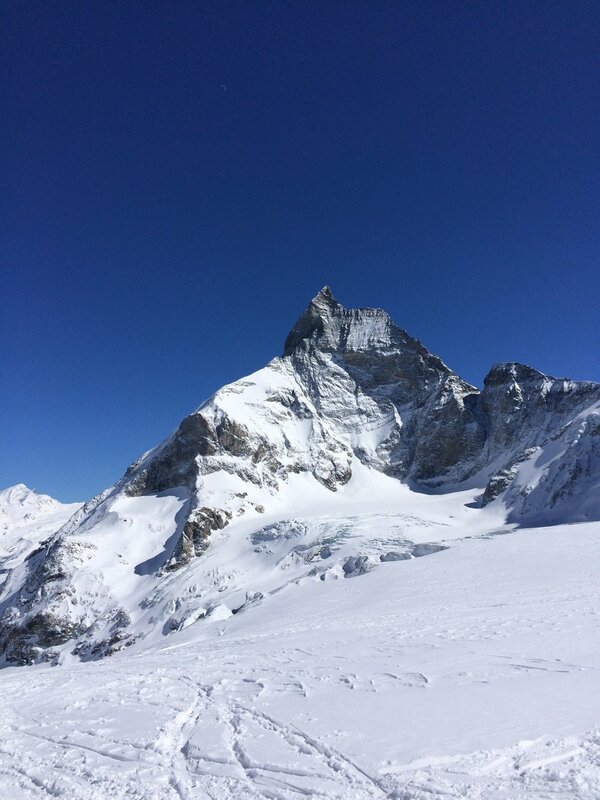 Paul is offering a fantastic opportunity to join him on a 6-day touring trip, starting on 24th March between Chamonix and Zermatt - the legendary Haute Route. One of the TG Ski Directors has done this route and described it as “epic” and one for the bucket list! Paul is no stranger to Meribel, and if touring is your thing, we’re happy to make enquiries as to his availability for other trips during your stay with us. You would need to be able to skin up 1200m of ascent per day and ski red/ black runs with confidence. however the views and high mountain ambiance are amazing. top of the Val D’Arpette. usually arrive at the hut around 5pm. 700m ascent, 2400m descent ~8-9hrs. wonderful viewpoint across the whole of the Western Alps. Serpentine, which often has to be climbed on foot. huge descent down to Zermatt under the North Face of the Matterhorn. this is steep and frequently climbed on foot. Spare Day – to allow for weather delays. piste/tour either in Zermatt or Chamonix. PM Overnight in Chamonix valley. Price and what is included?